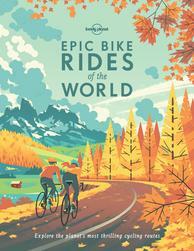 Long-distance cycle tours are a cheap, challenging and entirely unforgettable way to see the world. But are you willing to swap planes and hotel beds for a tent, two wheels and the open road? Here are 10 bikepacking hacks to get you off the couch and onto the saddle. Deciding to go really is the hardest part. Setting the date (and having a rough idea of duration) helps concrete your trip, giving you a deadline to work towards. First-timers should head off during the warmer months and – unless you’re keen to channel Sir Ranulph Fiennes – pick an easy route for the first week or two. Training before your tour helps, but it’s not imperative – you’ll get fit on the road. For tried-and-tested planning tips check out bike touring blogs and websites such as Travelling Two (travellingtwo.com) and Facebook’s Bicycle Touring and Bikepacking page. Invest in the essentials: a good free-standing tent, a decent touring bike, waterproof panniers (bike bags) and a cooking stove. Opt for a sturdy, steel-framed touring bike with steel front and rear racks to hold your panniers. Your bags should be hard-wearing as they’ll carry everything you need such as the tent, stove, sleeping bag and mat, electronics and clothing. Every gram and inch counts. Opt for lightweight gear and use dry bags to compress your clothes. Resist the urge to overdo it and blow your budget on gear that might not last; real kit gems such as baby wipes, mosquito spray and chlorine tablets often cost virtually nothing. Wherever you’re planning to cycle, consider ditching main roads as they’re busy and often uninspiring. Countries such as the Netherlandsare renowned for their flat and bike-friendly trails, while thrill-seekers tend to make a beeline for the likes of Tajikistan and Patagonia. Tap into regional resources and infrastructure such as Europe’s Eurovelo bike routes (eurovelo.org/routes) which offer excellent off-road rides. The USA’s Adventure Cycling Association (adventurecycling.org) and England’s Sustrans network (sustrans.org.uk) print terrific maps with alternative routes and amenity lists. Bike tours can cost very little; if you’re willing to live on rice and porridge and wild-camp at every opportunity, then a budget of a few US dollars a day is achievable. Visas, hotel stays and restaurant visits add up, but if you’re hoping for a happy medium (a lean food budget and plenty of low-cost or free accommodation with occasional splurges) then expect to spend about $15-$20 USD a day depending on the country. Factor in travel insurance and emergency money for bike repairs and kit replacements. Setting daily distances can be tough but having a rough idea of what you want (and are able) to achieve will help you plot an itinerary. Many bike tourers average between 60km and 80km per day, depending on conditions, while those just starting out may aim for much less. Besides the weather and quality of the roads, your personal goals should also influence the decisions you make along the way – and will often push you to keep going. Pitching a tent in the wild after a long day in the saddle can be stressful. Fortunately, fatigue often overrides fear – and the more you do it, the easier it gets. Some places welcome wild camping as long as you’re out of sight (Scotland, Iran, Japan) while others forbid it which makes a stealthy camp much tougher (Switzerland, Australia and the USA) – it’s worth being aware of the laws wherever you choose to cycle. While a nice, secluded, flat piece of turf near a river is the goal, anything can make a fine camp spot and the key to overriding those initial fears is to keep well hidden and off private property, or to simply ask the landowners for permission to camp. Locals are often keen to help – and if you have their blessings, you’ll sleep like a baby. Check out world cyclist Tom Allen’s top tips on how to wild camp. If you like Couchsurfing (couchsurfing.com), then Warmshowers (warmshowers.org) – a tight-knit international community of cycling enthusiasts catering to pedal-powered travellers – will be your best friend on tour. While it’s tough to find hosts in Central Asia, Africa and parts of the Middle East, Warmshowers has a huge network throughout Europe, Iran and the Americas. Many hosts will do more than give you a place to rest your head after a day on the bike, often feeding you dinner and sharing their own tales of adventure. Unless you’re happy with a two-minute noodle diet, spend some time getting to know your stove. Most small camp stoves have just one setting and few bike travellers carry more than two small pots, but with a little creativity you can whip up a delicious meal after a tough day of pedalling. Pasta, rice and porridge are great value staples. To make your meals more exciting, throw some chilli, garlic salt, pepper and curry powder in light, plastic containers. Peanut butter turns even the worst meals into a satay delight and soup mixes make for lightweight yet delicious sauce bases. ‘What if someone steals your bike? What if you get attacked while camping? What if you get hit by a truck?’ These aren’t just the questions your family will fling at you – they’re the ones you’ll ask yourself repeatedly before setting off. To deal with those recurring fears, expect the best but prepare for the worst. Commit to reading the fine print and get insurance with comprehensive cover that will replace your kit if it’s stolen. Keep a personal alarm or bear spray in an accessible place and consider carrying a SPOT tracker; these devices (when turned on) emit your location to allow friends and family to keep an eye on where you are. Stay vigilant and you’ll be fine. The majority of cyclists report overwhelming generosity and kindness from the road.